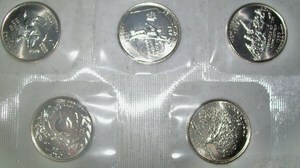 See the current state quarter values, a list of rare state quarters, and state quarter errors. 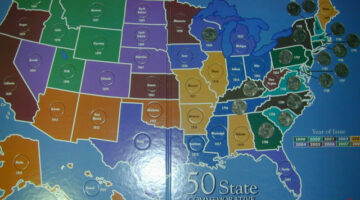 Also, lots of fun facts about the 50 State Quarters series — for trivia buffs and anyone who enjoys American history! 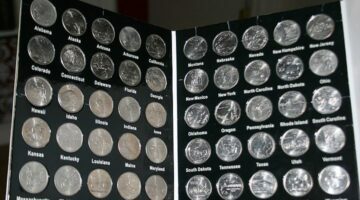 I’ve created a detailed list of all the different things that are symbolized on the Statehood Quarters, along with some interesting little-known facts about these popular U.S. quarters. Why do you collect coins? Have you ever asked yourself this question? Sometimes, furthering your appreciation of the hobby you love means taking a step back and considering what drew you to it in the first place and what keeps you there today. Curious about the values of Walking Liberty half dollars, and what these beautiful coins have been worth over the last few decades? 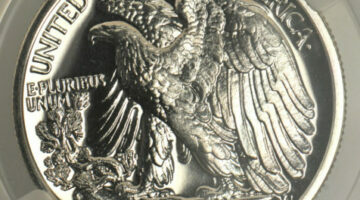 Here’s the historic value of Walking Liberty half dollars. 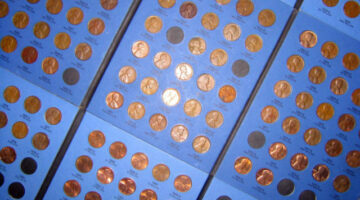 Looking to lessen your coin collecting budget? 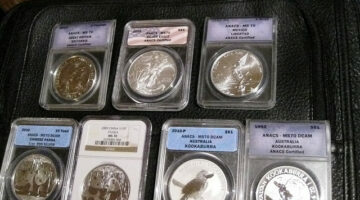 Try your hand at completing these 7 coin sets for less than $10 each. The first coin of any coin series is always among the most collected, so it’s no surprise that first-year coins are tops on many coin collectors’ want lists! Jefferson nickels are one of the oldest coin circulating today — and they’re among the easiest and cheapest coins to collect. Believe it or not, it’s still possible (with a bit of luck) to actually complete a set of Jefferson nickels right from pocket change! 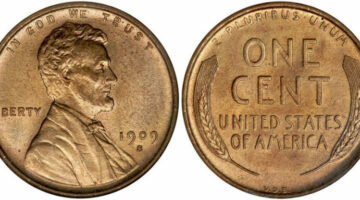 The 1922 Cent: Why Is This 1922 Plain Cent Needed To Complete A Lincoln Penny Collection? 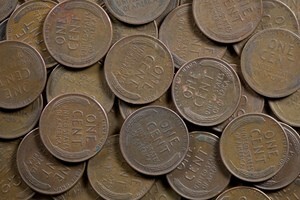 Only 7 million 1922 cent coins were made. Those without a D mintmark are even scarcer. The 1922 cent is a popular error coin — or variety, depending on your stance. But why is a hole for that coin being included in regular Lincoln cent albums? Here are one longtime collector’s opinions on the issue and what should be done about those pesky holes most of us can’t afford to fill in our Lincoln cent albums. 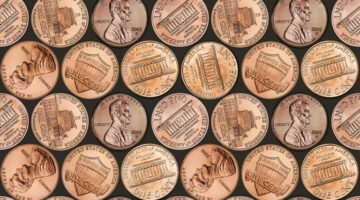 With some of the ideas here, you will easily be able to start building a Lincoln Cent collection that will be sure to please your eyes AND conform to your budget! 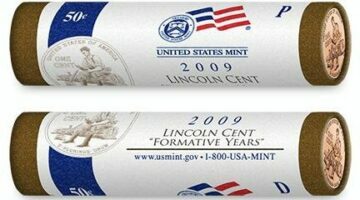 The 2009 James K. Polk dollar coin was the 3rd Presidential $1 Coin released in 2009 and the 11th of the entire Presidential $1 Coin series which began in 2007. 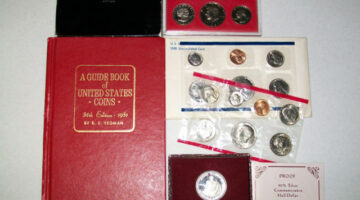 Collecting type sets is a way to collect coins on a budget. 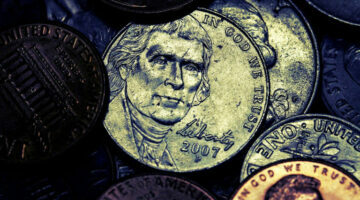 You might choose to collect one type of coin, or collect coins from a certain year. 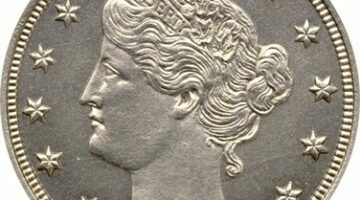 Liberty nickels from 1883 to 1912 are a small series of coins to collect. However, it’s not very easy to complete a set of Liberty Head nickels — see why. 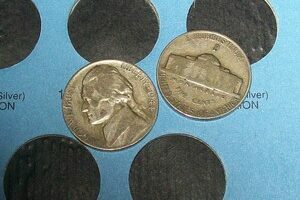 Plus tips for collecting Liberty nickels or V nickels when you’re on a budget! The John Tyler Presidential dollar coin was the 2nd presidential dollar coin released in 2009 and the 10th in the series. On this dollar coin, ‘In God We Trust’ is imprinted on the obverse side of the coin, rather than on the edge of the coin. 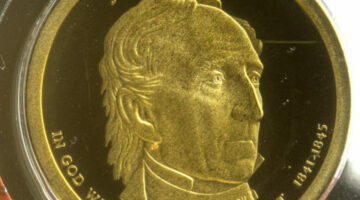 See how much John Tyler dollar coins are worth. One of the changes to the William Henry Harrison Presidential dollar coin is the fact that the motto ‘In God We Trust’ — which had been placed on the edge of the coin — was moved to the front of the coin, below the president’s portrait. 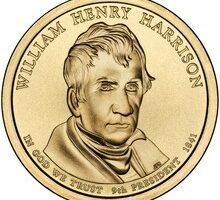 See other little-known facts and how much William Henry Harrison dollar coins are worth.